Directorate Education Board Merit List 2018 out for 3582 Master cadre posts. Shortlisted candidates will called for Document verification. 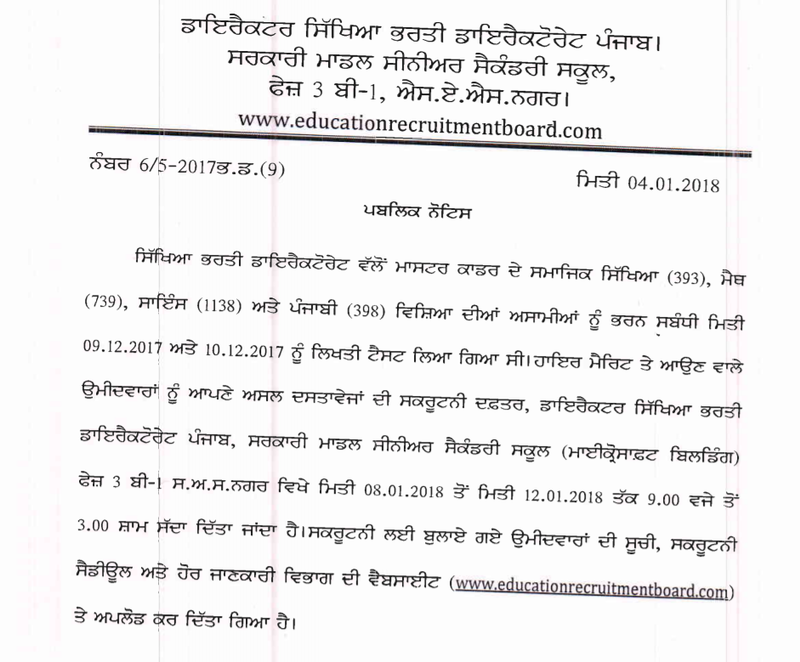 Education recruitment board would conduct an written test on 09.12.2017, 10.12.2017 for 393 Social Study Master, 739 Math, 1138 Science and 398 Punjabi Master cadre posts. Higher merit list candidates will called for documents verification. Download Merit List for 3582 Master cadre vacancies 2017-18. NOTE : All candidates should have to fill a form in prescribed format & send it to the given email ID, All candidates are suggested to download instructions from below link.